It was way back in 2011 that ASUS launched the Zenbook series. The original UX21E and UX31E were the first of the thin and light Ultrabooks from ASUS to bear the Zenbook brand, and featured an all-aluminum chassis. 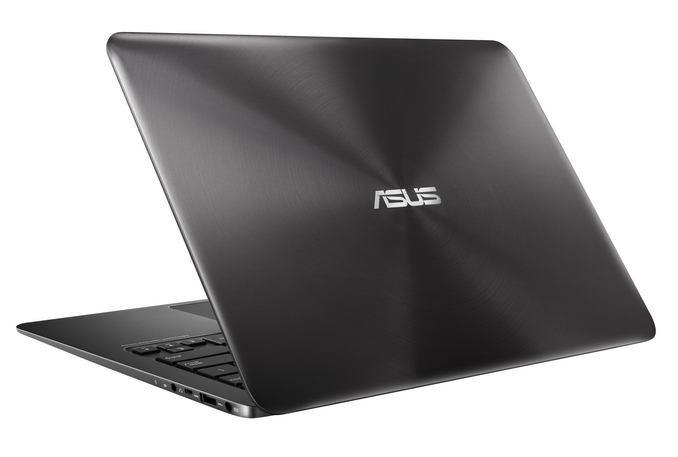 ASUS has kept the styling consistent over the years, and refined their Zenbook with each new model. The new UX305 is their thinnest and lightest incarnation to date and keeps the Zenbook aluminum frame, with the distinctive concentric-circle finish on the lid, and squeezes the laptop down to an incredible 12.3 mm thickness. Part of that story is what is powering the UX305. Intel’s Core M processor is a 4.5 watt chip which has compressed the entire system on a chip into a much smaller package than the traditional Core processors that have powered the other Zenbooks. ASUS has created a system board with a ten-layer high-density PCB which is only 0.83 mm thick, and roughly the size of a six-inch smartphone. 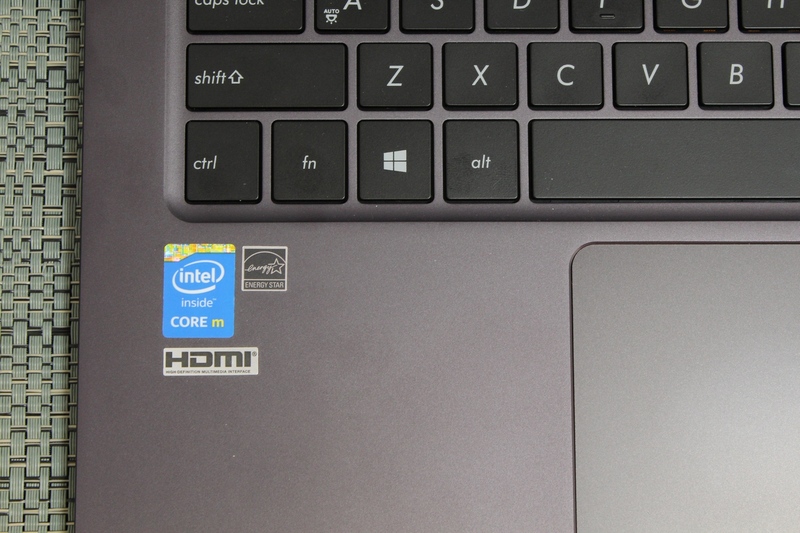 Core M, with its low Thermal Design Power (TDP), also enables fanless devices, and ASUS has done this to provide a laptop computing system with no moving parts at all, and therefore it is virtually silent. The most amazing thing about the ASUS UX305 though is that the company has crafted an all-aluminum, thin, light, and capable Ultrabook for only $699. With this kind of price point, one would expect sacrifices to be made in the specifications, but that is not really the case at all. For the base starting price, the UX305 comes with the Core M-5Y10 processor which has a base clock of 800 Mhz and boost to 2 GHz, along with 8 GB of LPDDR3-1600, and a 256 GB Solid State Drive. The display is a 13.3 inch 1080p IPS panel, and in April a 3200x1800 model will be available which includes multi-touch. For the US market, the $699 5Y10, 8GB, 256 GB 1080p model will be the base, however they will offer other configurations in other markets. As far as specifications, there is very little to complain about. ASUS has still managed to fit a 45 Wh battery onboard, and it has all of the ports one would expect of a modern Ultrabook, with three USB 3.0 ports including one port with sleep charging, a micro-HDMI port, a headset jack, and a micro SD card slot. They have even fitted a 720p webcam. Really the only spec that that might be considered cutting corners is the 802.11n wireless, but some models will come with 802.11ac as well. ASUS has packed all of this into just 1.2 kg, so the UX305 is very light too. One look at the UX305 and you can instantly tell that ASUS is going for those who are after a premium Ultrabook, but with a budget price. However that budget does not mean that it skimps on the necessities like storage or RAM. At CES, I was hopeful that the push to lower cost devices with solid state storage would be right around the corner, and clearly that is the case. Many of us who follow technology get asked for recommendations on devices to purchase, and it was difficult to find a quality device for a reasonable price that included solid state storage. ASUS has shattered that barrier with a 256 GB SSD at this price point. They have also changed the perception about design and feel of a mid-priced notebook. That's great and all, except....who asked for a 5W notebook chip? Intel has been doing this for a while, moving the MAINSTREAM of the notebook market from M/H-series chips to U (CULV) series chips...and now to the even less powerful Y-series, which until Broadwell was so crap nobody dared to put it in their laptops (IVB-Y and Haswell-Y). Core M is just a slight upgrade over those. Not mint, and not with that tiny amount of storage, and not at that price. ...Not you and I. Different needs, all that but plenty are getting by everyday without turning a laptop or their desktops at home on. iPads, your Nexus or Samsung tablet of choice -- even today's smartphones smoke those older MacBooks for all reasons mentioned above; portability, longevity, 'speed' (with PCIe storage now, quick NAND solutions in tabs), and overall function. I'll be 44 this year and started with an Apple IIe. What a cool time to be a 'geek'!